Want to perform Aksharabhyasam for your kid at Basara Sri Gnana Saraswati Temple and wondering how to do it? Read the following article to know more about how to perform Aksharabhyasam at Basara temple and the significant days for the same. Aksharabhyasam is a sacred religious event which is performed before a child starts its education career. This occasion is usually performed once the child completes two years and is in its third year. The mind of the child at this period is slowly developing and is curious in learning many things in the world, hence this function called Aksharabhyasam is performed in the 3rd year as a preliminary event to begin its schooling formally. Aksharabhyasam when divided, ‘Akshara’ means alphabets and ‘Abhyasam’ means practice. This function is therefore believed to be a basic requirement as per the Hindu belief for every child before it starts its official schooling education. The fifth day after Amavasya (No Moon day) in the Hindu month of Maagha depicts the beginning of Spring season. 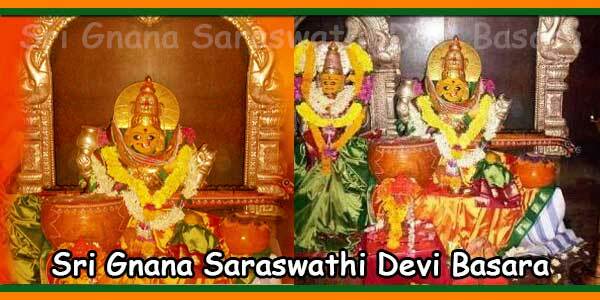 This day is Vasanta Panchami which is also called as Siri Panchami. The importance of Basant Panchami is that people believe that on this day, Goddess Saraswati, the Hindu Goddess of Learning / Wisdom is particularly revered and the children are imparted writing their first words on this day in the Aksharabhyasam function. Vasanta Panchami in the year 2013 falls on February 15 and is considered to be very favorable for celebrating Aksharabhyasam on this day. The tenth day of Dussehra, which is the beautiful Hindu festival of victory is called as Vijaya Dasami and is believed by thousands of devotees to be the most auspicious day of the year. 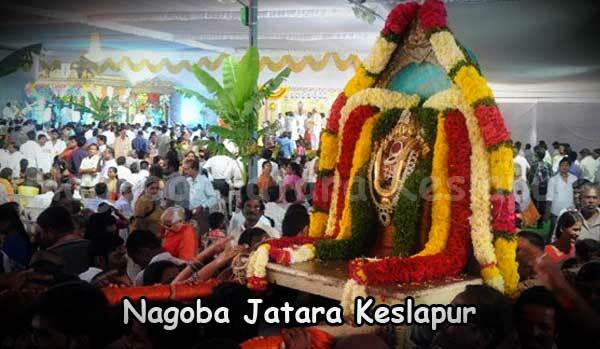 Devotees come in huge crowds to perform Aksharabhyasam for their children at Basara temple. Vyasa Pournami / Guru Pournami, the birthday of Sage Vyasa, which is celebrated on the full moon day in the Hindu month of Aashadam is believed to be another significant day for performing Aksharabhyasam in the Basara temple. Sraavana Pournami / Raakhi Pournami is one more significant day when Basara sees huge crowd for performing Aksharabhyasam for their children. So follow the below tourist guidelines of Basara Temple if you are planning a visit to the temple on any of the above mentioned important days for celebrating Aksharabhyasam for your kid. Carry minimum 1 kg rice along with you which is required to be spread on the slate at the time of Aksharabhyasam. Though not obligatory, for your handiness you can carry a cotton towel for keeping the slate on it. A small amount of Pasupu (turmeric powder) and Kumkumam needs to be carried with you to be used while performing the Pooja. The remaining items like slate, chalks, coconut, flowers and flower garland etc are easily accessible at the temple site. Visitors need to remember that as these days are very divine for performing Aksharabhyasam, there will be huge queues and people will have to wait for many hours standing in the line. If not, try reaching the temple as quick as possible so that you do not have to wait for long hours and can get the first slot for performing the ritual. There is one more important thing that you need to remember when you choose to perform Aksharabhyasam for your child at Basara temple. As this function is performed on auspicious days, there will be hundreds of families seated in front of the main deity and the temple priest will be instructing you on mike which needs to be cautiously followed to complete the function fruitfully. One more important thing to be kept in mind is to accommodate all the materials brought for the Pooja on your lap and also your child as you would find it very difficult to sit easily because of the huge crowd. This could make the event easier to be completed. Waiting hours in the long queues could definitely make your children annoyed and so remember to carry adequate dry foods like biscuits, etc and water bottles. If possible, also remember to carry your child’s favorite toys so that he / she gets engrossed in playing. This helps in avoiding your children getting annoyed waiting in the long lines which can make you angry at times. 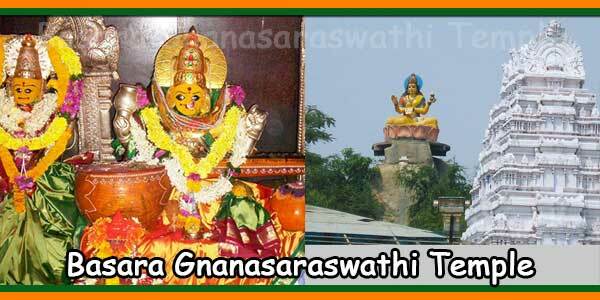 There are two options of performing the Aksharabhyasam function at the temple premises – one is inside the temple exactly beforethe main deity and the ticket cost for this is Rs 500/-. The other option is in any place in the premises of the temple outside the Sanctum Sanctorum and this ticket costs only Rs50/-. 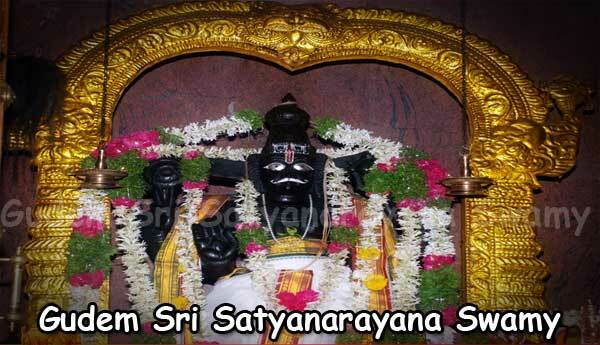 So you can perform the Aksharabhyasam function in the temple as per your affordability. However, performing Aksharabhyasam of your child at this holy place is considered to be very important for ensuring your child’s bright learning future all through and a positive career life. Final Note: Kindly remember that all this is only reliant on your affordability and accessibility. If you are put up near Basara, you can leave your place early morning and reach the temple for visiting it. Otherwise, book a hotel room at Nizamabad, which is just 30 km from Basara. Nizmabad has a number of lavish as well as economical hotels and is appropriate to stay here the night before visiting the Basara temple as you can reach there early the next morning. 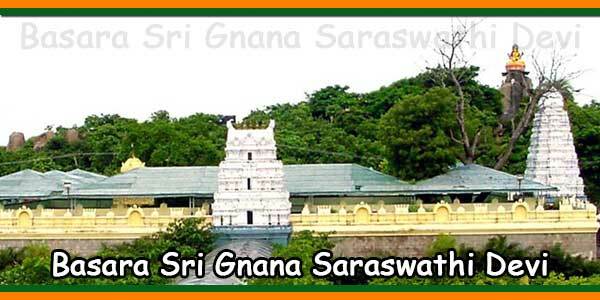 Basara Saraswathi Temple Timings: 4.00 AM to 8:30 PM on all days. Basara – Village: Mudhole – Mandal. Jai Guru Dev, Very important information regarding akshara abhyasam in detail. Thank You Very Much.